No one anticipates getting into a car accident, but almost everyone that has the misfortune to get into one will have some negative physical effect as a result. Whether it is just a minor fender bender or serious, multi-car crash, your body will absorb the force. Chiropractic treatment for car crash victims are unique to each individual to get the maximum benefit possible. 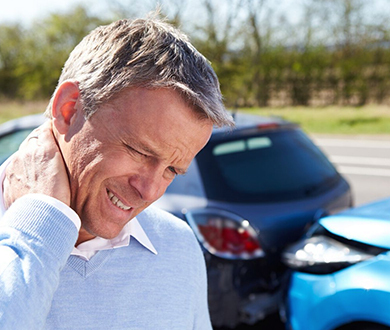 Allied Chiropractic specializes in dealing with patients who have been injured in auto accidents and need healing and recovery. Our doctors use the latest research and advances in chiropractic care to help patients get back on track and lead healthier, fuller lives. People who have been injured will often experience pain that doesn’t seem immediately related to an injury such as headaches, dizziness, or low back pain, which can be caused by misalignment or injuries to the spine. Allied Chiropractic uses a multidisciplinary model to maximize the speed and efficiency of patient recovery, making use of general chiropractic techniques as well as massage therapy. We specialize in dealing with personal injury because we know that time is always of the essence when it comes to recovery from bodily damage– injuries can cause chronic and progressively debilitating pain if they are not dealt with. Every chiropractic treatment plan for our patients involved in car accidents will include a thorough consultation and examination to determine the main issues and the best course of action to find a solution. Since everyone’s body is different, and every car accident is different, the treatment must be customized to the individual to achieve lasting results. We even have the ability to take X-Ray’s on-site if needed.